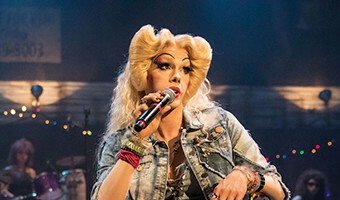 Many words have already been written about Theater Latté Da’s current production of John Cameron Mitchell’s “Hedwig and the Angry Inch.” More words than we’ve seen in a long time about a single play or musical. It’s pretty unanimous: Don’t miss this. Why? It’s an oldish show, premiering off-Broadway in 1998, made into a movie in 2001. (The 2014 Broadway revival won a Tony.) What was shocking 20 years ago seems almost tame today, even anachronistic. 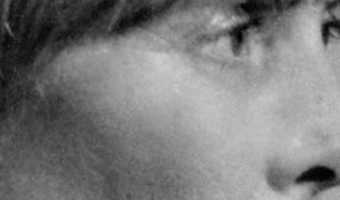 “Transgender” is a word many people are now familiar with. (In the “Hedwig” program, Latté Da thoughtfully provides a “Glossary of Sexual Orientation/Gender Terminology.”) Men in heels are no big deal. So “Hedwig” is a bit of a period piece in our rapidly changing social landscape. Well, so are most other plays written anytime before today. Latté Da set it in the late 1990s, like the original. Moving it forward two decades would … [Read more...] about Three words for ‘Hedwig’: Don’t miss it.